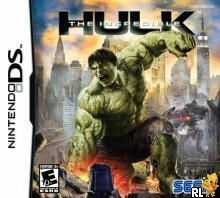 OverviewThe Incredible Hulk is a free roam, open world game, allowing the player to reek havoc on the streets of New York City while playing through the story of the movie. Now you can add videos, screenshots, or other images (cover scans, disc scans, etc.) for Incredible Hulk, The (U)(XenoPhobia) to Emuparadise. Do it now!